The Pittsburgh Metropolitan Area Hispanic Chamber of Commerce is holding an invite-only Hispanic Leaders Gathering. The purpose of this meeting is for the Latinx nonprofit leaders to discuss how we can best support one another and work together to drive the Latinx community forward socially, economically, etc. ! It is our firm belief that there is strength in numbers and that we must unite in order to have a voice in our city. Following the meeting you are invited to attend a special showing of "Where Did We Sit On The Bus?" (written and performed by a Latino about the struggles of being a second-generation Hispanic living in the United States- more information below). We will have representatives from the following organizations: Center for Latin American Studies, Hispanic Chamber (PMAHCC), Hispanic Development Corporation (PHDC), Latin American Cultural Union (LACU), Casa San Jose, Latino Family Center, Latino Community Center, Duquesne Small Business Development Center, Change Agency, Alpfa, Colombia En Pittsburgh, COESA, Next Act Fund, Escuela Arcoiris, Barrio Latino Radio (CMU), Coro Latinoamericano, the Cultural Trust, PHDC & 296Plus. This meeting is by invite only and limited to only and limited to only 20 leaders of Hispanic and Hispanic-related nonprofit organizations. Additional Tickets are NOT AVAILABLE for this private, sneak-peek, screening of the show. City Theater's bar will be open should you wish to purchase beverages during the meeting and prior to the show. The event is FREE however, we will be accepting donations for the food that will be provided by PMAHCC. 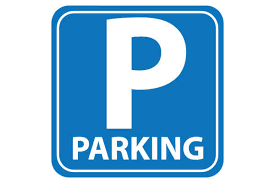 Parking is available in the City Theater parking located diagonally across the street from the theater for $9. Street parking is also available. We thank City Theater for graciously donating the space, show tickets and promoting Hispanic-American culture through choosing to show "Where Did We Sit On The Bus? ".